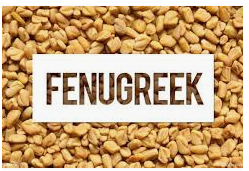 Health Tips - Self Cure - Home Remedy: Use Your Cell Phones Wisely and Effectively !!! 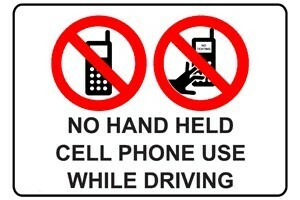 Use Your Cell Phones Wisely and Effectively !!! Its time for me to have a glance of various issues related to the cell phone, its uses but more than that its health issues. Primarily I would like to mention that nowdays people speak for hours and hours in cell phone and the more they speak they get addicted but has anyone thought about the after effects of the cell phone, imagine how much money you are losing, for certain individuals people is not a matter but what about your health. If you think you are using the cell phone beyond the limits its high time you got to read this article. Please give inputs and your valuable suggestions and opinions. I would like to raise a polling on the number of hours people use cell phones. Please rate it accordingly. Coming to the discussion of the uses and health issues mobile phones has a heavy transmission of radio frequency energy in the form electromagnetic radiation that are being absorbed by nearby tissues i.e where the phone is being kept into contact Eg: if kept near the chest or inside your pockets, the nearby areas of chest gets affected by various radiations. There is also a significant increase in the number of people getting affected with brain cancer using handheld phone rather than those using non handheld devices. 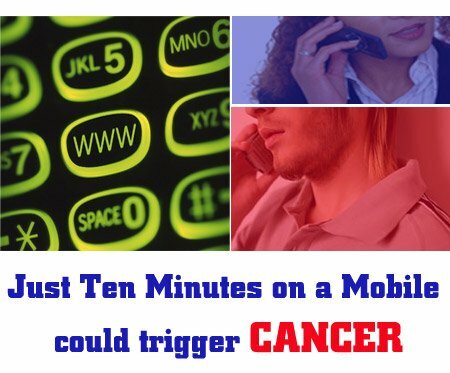 The risk of acoustic neuroma, a benign tumour of the auditory nerve that is well in range of the radiation coming from a phone's antenna. 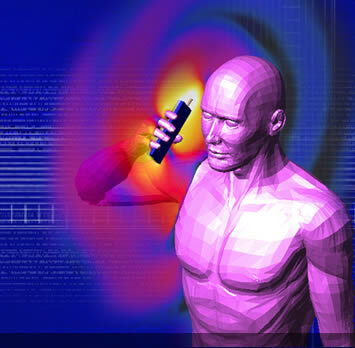 Radio waves at the radiation level of mobile phones may increase the permeability of the so-called blood-brain barrier. The blood-brain barrier regulates the passing of material between the bloodstream and brain cells. Possible changes are, however, minimal and disappear quickly when the radiation stops. But the risk of neuro epithelial tumours on the outside of the brain are increasing higher in case of cell phone users as compared to people who did not use cell phones. You might perceive that how can I communicate each other without phone, why they produce and sell phones in the markets. And how about the benefits which are offered in these phone. Cell phones are very easy and fast in order to get connected with your loved ones. And it doesn’t seem like cell phones are going to disappear and the convenience of using them are also making people to get addicted and its very tempting to have the use of cellphones. Therefore what we have to do is to understand the technology and realize its harmful effects so that we can protect ourselves from various health hazards of cell phones. Please note the following and implement this in your life. 2) Maintain distance from you and your phone when you don’t need it especially in the night keep as far as you can and this in turn leads to decline in radiation levels. 3) Try to use an external antenna when using your cell phone from inside your car. 5) When you give a call and you are waiting for the other person to answer the call that time your cellphone is sending out its maximum signal ! Try to not place your cell phone to your head during this phase of the call. 6) Keep activating speakerphone mode during the call. but good rather than keeping phone close to ears. 7) Please don’t keep the phone near to you for the whole day. 8) Try to use your phone when you have the maximum number of bars, indicating the best reception. When signal quality is poor, your phone emits more radiation. 9) Don’t use your cell phone in elevators, cars, trains or planes. Cell phones draw more power, and causes more radiation.